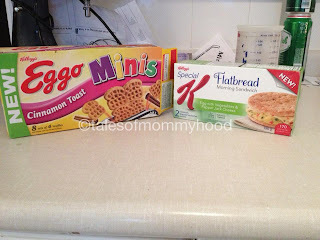 Have you heard what is new from Kellogg's? They have some exciting new products on the shelves - check your local retailer and give them a try! Being a Kellogger is great - I received some FPC's in the mail to go out and grab a few boxes of the new products. I picked up the Cinnamon Toast Eggo Minis for the boys (they DEVOURED them immediately) and the Flatbread Breakfast Sandwich for myself. They also have regular Eggo's in a mini version, and their are 3 varieties of Flatbread Sandwiches to choose from. What's your favorite Kellogg's product? 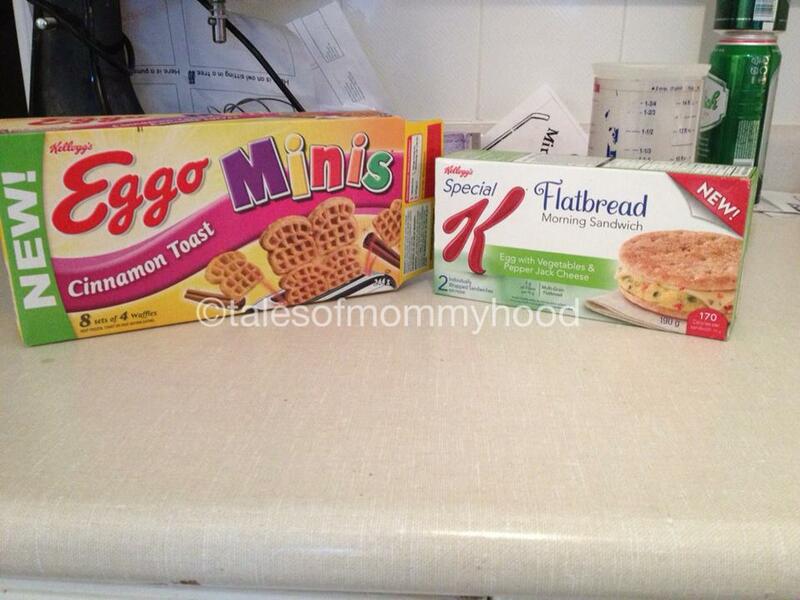 I love Kellogg's products! Having tried both products I can say that both were great! ...oh, missed the question...I especially love Special K with red berries, but enjoy so many of their products, I cannot pick just one! Those flatbread sandwiches look delicious. My favourite Kellog's product is Mini Wheats (original flavour). They're more filling than a lot of cold breakfast cereals. I like them in summer when oatmeal or porridge seems too hot (though I eat them in winter when I'm in a hurry, too). Hmm... they might be good heated with hot water for a quick, hot breakfast. I'll have to try it.